PlayHooray kids classes are held at libraries across Nassau and Suffolk County helping to bring adults and children together. PlayHooray has been conducting kids classes on Long Island since 2001. Libraries have great resources for parents and kids. Books and a love of learning are primary but libraries also offer a sense of community, play and socialization. Libraries make it possible to bring neighborhood people together. You can network with other parents and children can socialize with each other during PlayHooray kids classes at libraries. In honor of libraries and librarians everywhere, we wanted to share the Top Ten Reasons to take your young child to the library. 2- Librarians are “the bomb diggity” – they know everything ! 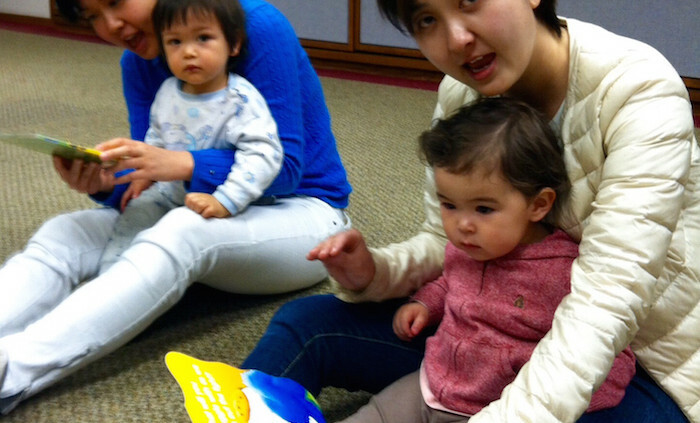 1- To enjoy a PlayHooray class! At our PlayHoooray classes for kids we strive to honor the theme of this year’s National Library week…helping to transform communities. Although we do Mom’s Groups, Nursery Preschools and kids parties most of our “mommy and me” kids classes are held at libraries. The biggest joy is to see the kids go through school, girl scouts, dance and sports together when they originally started out together in a PlayHooray class at their local library. Do you remember your first trip to the library? Remember the feeling of getting your first library card with your parent? It can be a magical moment for many kids. Kids love seeing their name on a library card for the first time. This experience gives kids a feeling of pride and empowerment. It’s a right of passage and continues to be until this very day. This week in Oceanside, New York it happened to a child who attends our PlayHooray class. That “aha” moment you experience at the library. Bridget, got her first library card. She held it out to show all the PlayHooray staff members. She was so proud of her brand new library card. It really was a thrill to see her expression! From 1,000 books before Kindergarten to story time and summer reading programs, libraries have much to offer kids and parents. Here are some online resources to learn more about the benefits of being active in your local library. 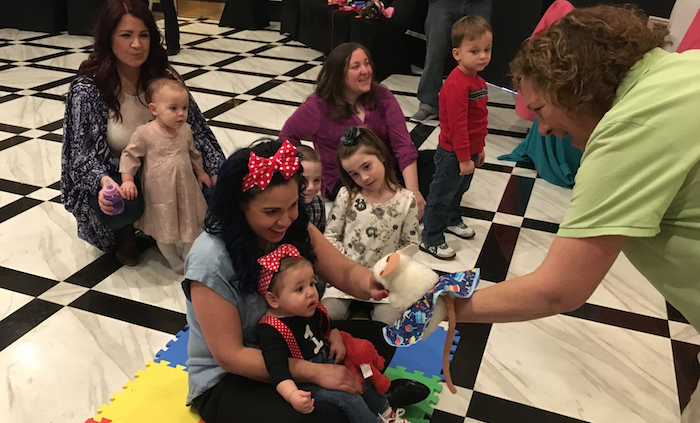 To learn more about PlayHooray kids classes being held in libraries throughout Nassau and Suffolk Counties contact us at 516-768-4701 or check our class schedule at playhooray.com.